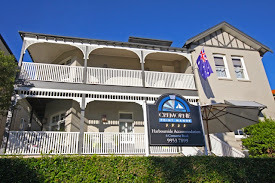 Cremorne Point Manor: It’s A Different Type of Hoofing Around Carnival! If you’re in the Sydney area between 22 – 26 April and are reeling from locals and tourists in a flurry of galloping excitement, you can gently relax. It’s not a parade per say but it’s absolutely confirmation that the BMW Sydney Carnival is in full swing. Unlike the traditional carnivals that you’d presume would feature a long parade, multi coloured costumes and feather head-dresses, this carnival takes a right hand swing at the usual connotation and focuses on racing. This is Sydney’s premier racing carnival and is held over six weeks, with the 22-26 April being the most flamboyantly busy days. Boasting the finest thoroughbreds in the country, racing for over $20million AUD in prize money, it’s impossible to miss at least one of the 49 Group Races. Claiming territory for the city’s two premiere racecourses which includes three weeks at Rosehill Gardens and then an additional three weeks at Royal Randwick, the home of Australia’s racing truly comes back to roost on it’s true turf. Gawp at stunning fashion (think of this as the Ascot of Australia), amazing entertainment and a really good day or series of days out for the whole family. On the 22nd, all you lovely women can enjoy Ladies Day where true to glam power tradition, there’s a ‘Best Dressed Women’s Racewear,’ Instaglam competition, the Ladies Lounge and the chance to win $30,000. The best part? Rosehill Gardens is just a 30 minute drive from a boutique Sydney hotel and a zappy 17 minute drive to the hotel from Royal Randwick. So if you’re looking for an affordable stay while you’re visiting Sydney or a local that wants to pamper themselves for a hotel staycations during the Carnival…well you know what to do.